The breathtaking beauty of the Hawaiian Islands inspires reflection and renewal. 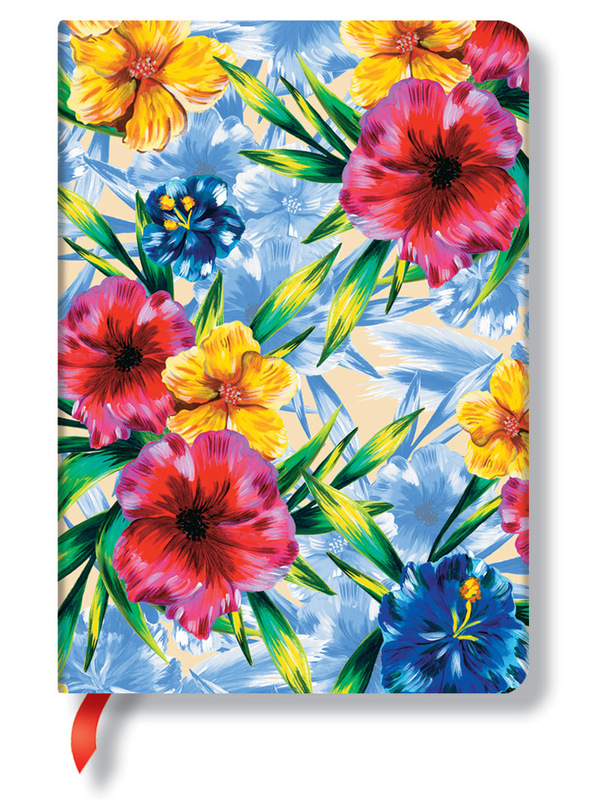 For centuries, artists have sought to capture the essence of that tropical haven. 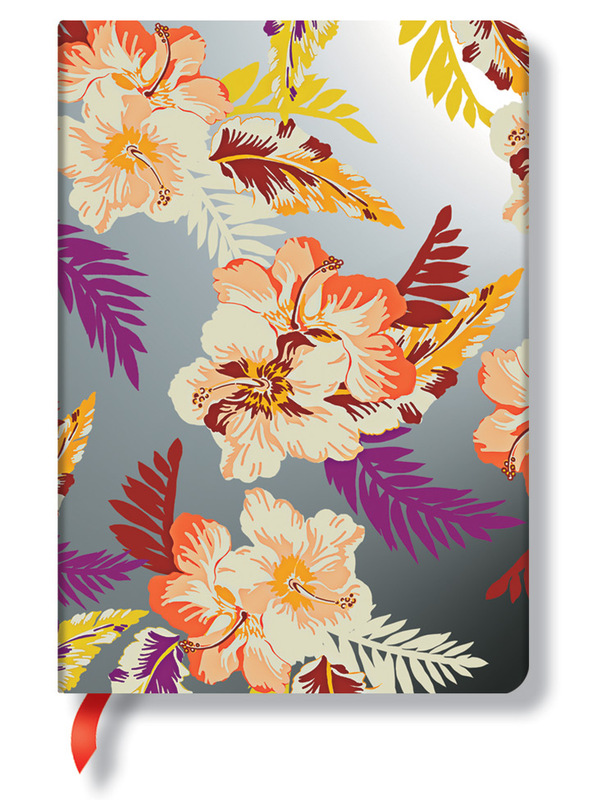 The cover designs of our Aloha series are evocative of both traditional handpainted designs and contemporary printed fabrics. 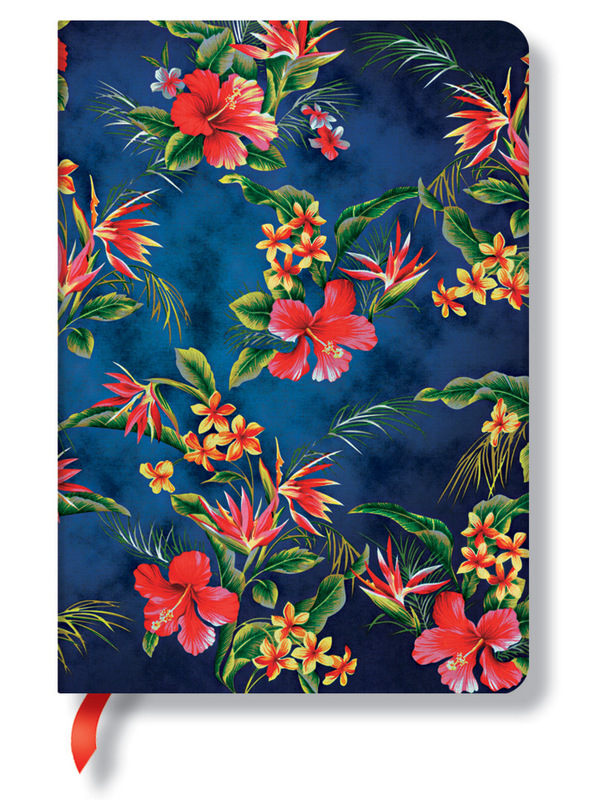 Featuring the lush tropical florals of Hawaii, these journal covers bring the attitude of Aloha to the pages within. 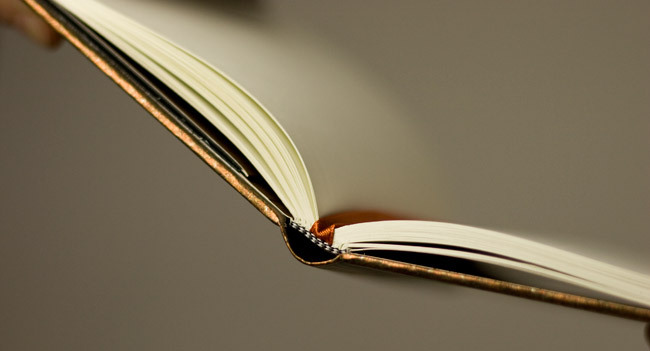 The history of print-making in Hawaii runs as deeply as the roots of its palm trees. 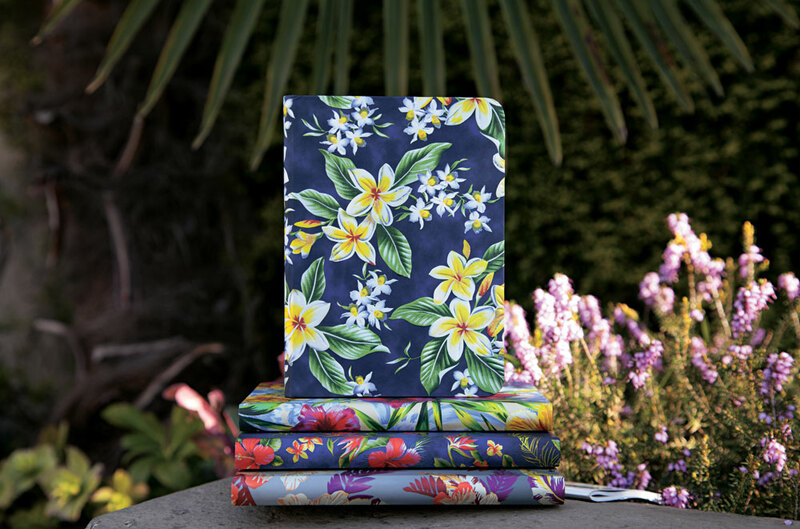 From the traditional kapa fabrics made from tree fibres to the popular Aloha shirt we see today, the natural beauty of the Islands’ flowers and foliage has always played a role in Hawaiian design. 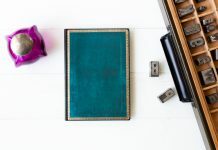 The rich Hawaiian history of fabric arts was elevated to high fashion in the mid-twentieth century through the designs of Alfred Shaheen, and since that time contemporary designers and printmakers have popularised the bold and colourful style. 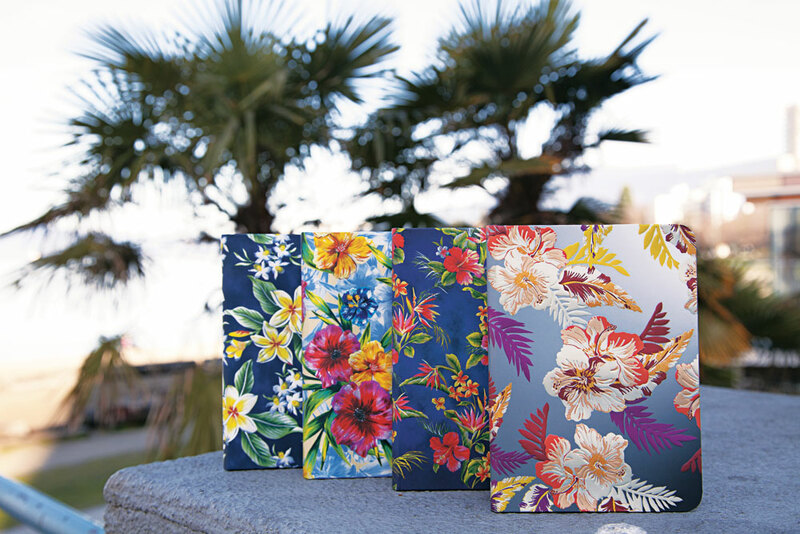 Our Aloha series is inspired by these contemporary patterns, capturing the Aloha spirit of joy and unity in the effervescent Hawaiian floral prints. 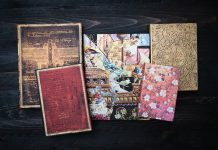 Interested in buying these products or anything else from Paperblanks®? Use our Store Finder to locate retailers in your area or online retailers who can ship to your location. Fun patterns! Do any of them have an elastic band on them? Do these come in a diary version? They are gorgeous! 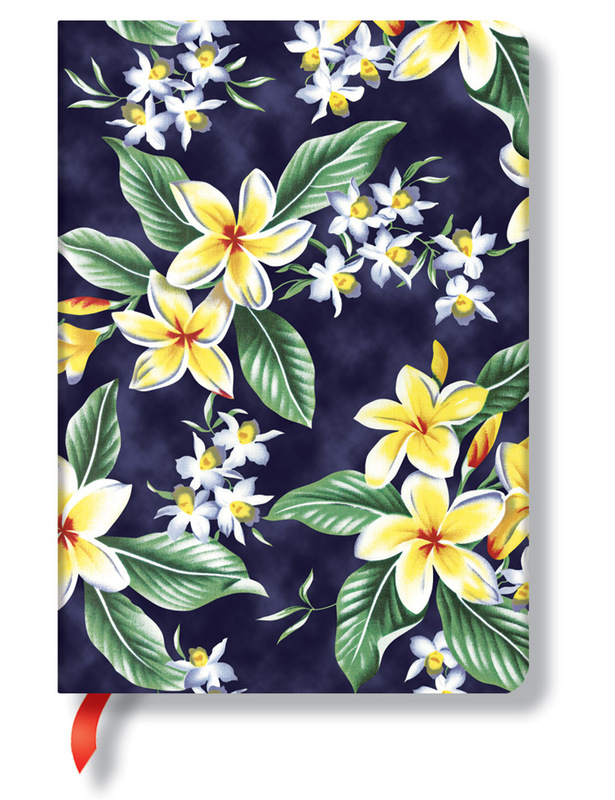 Our Aloha designs aren’t available as diaries, but we do have some similar covers that are. 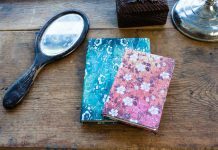 Perhaps you would like Flutterbyes, Blooming Wisteria or Gloriosa Lily?